*Dilly Dolls*: Say hi to Gordy! ALSO! If you are a member of the *Dilly Dolls* store group, there is a group only version available in the store! The group enrollment is now CLOSED, and will remain closed until I remove the group. NO ONE will be allowed to join, while the group gift is out. Feel free to join once it is open again, so you will not miss out on the next group gift! Still not to late for The Santa-Puss Stocking! 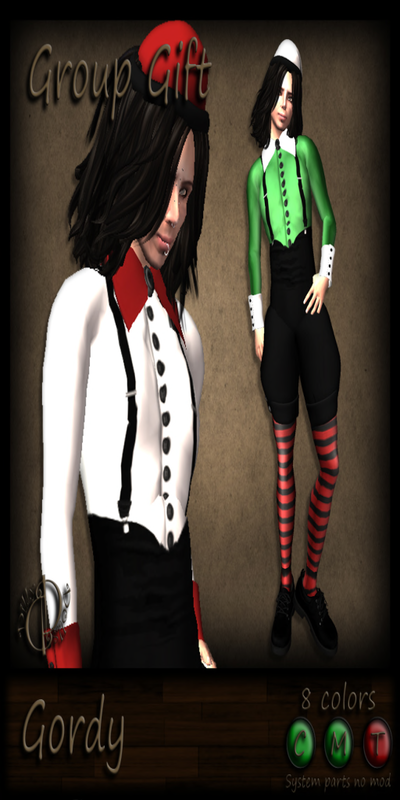 Zomg new Dilly Dolls SKINSSSSS!! I gots some more newness again YAY!